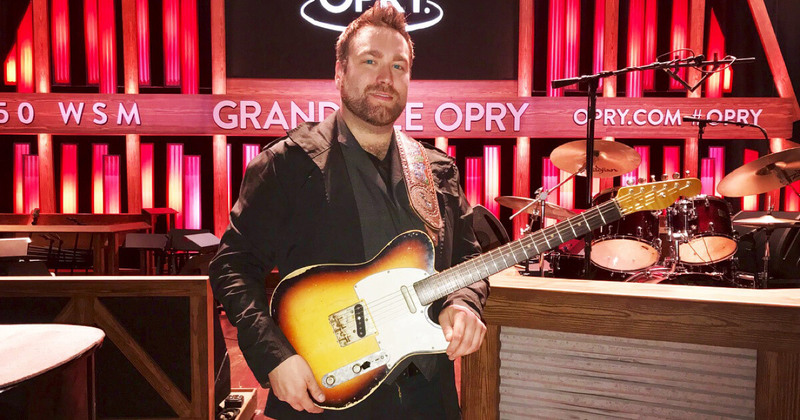 It takes talent to whip out chicken picking licks like these, and it’s easy to see why Nashville based guitarist Chuck Ward is a player in demand, both as a session and a lead guitarist. His guitar of choice is the Telecaster. No surprises considering his biggest heroes played Telecasters, and was raised purely on country music. Chuck’s father was a steel guitarist and lead singer who played in several bands across the region. By the time Chuck was 12, he had picked up the guitar and found himself playing lead guitar in his dad’s band. 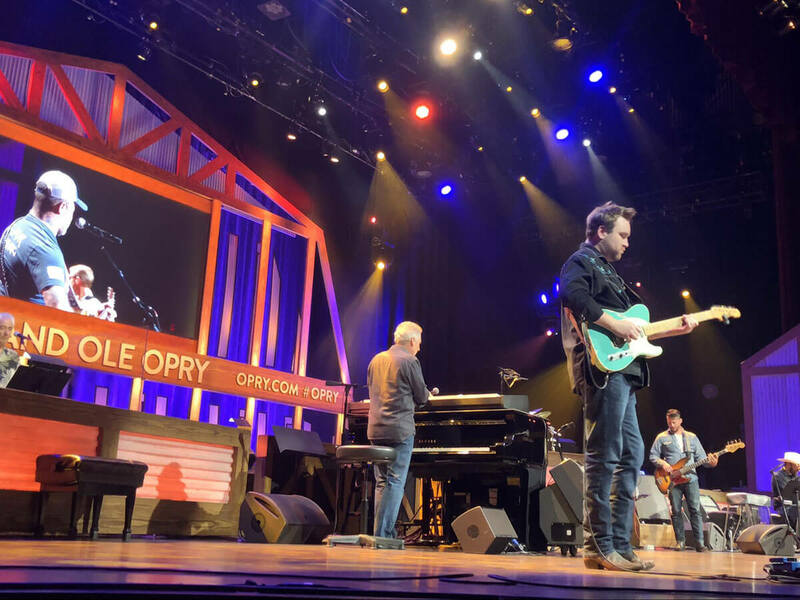 Originally from Wheatfield, Indiana, Chuck moved to Nashville, Tennessee, playing at clubs up and down lower Broadway, eventually landing gigs with artists such as Matt Mason (CMT Next Superstar winner) and Georgette Jones (Daughter of George Jones and Tammy Wynette). 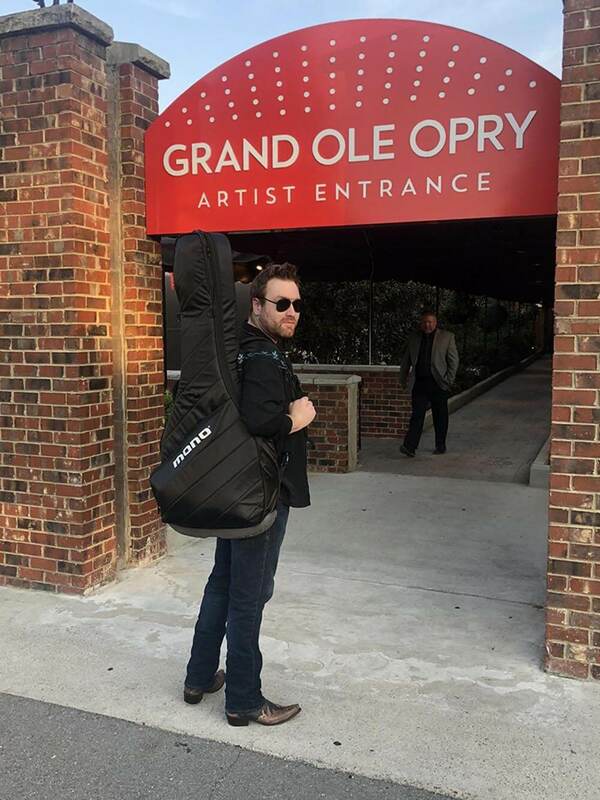 Today, Chuck plays lead guitar on tour for American singer-songwriter Aaron Lewis. Let’s start from the beginning. What was the moment in your life that you knew you wanted to be a musician? The moment me and my father started playing on stage together I knew I wanted to play music forever. Who are some of your main influences on the guitar? My main influences would have to be Danny Patton, Brent Mason, and Vince Gill. What’s a typical day like on tour? We all have our own morning routines. But then we go into the venue in the afternoon for our soundcheck which usually turns into us just jamming on old country and western swing songs. Usually some Merle Haggard or some instrumentals. Then I like to walk around to find cool music stores or antique shops and some good food! Then do the show hang out awhile and head to the next town. Tell us what it’s like being on tour with Aaron Lewis. What’s one of the best experiences you’ve had so far? I’d have to say the best experience is just how great of a guy Aaron is. The whole crew really. Everyone is extremely talented and are great people. I love the freedom Aaron allows us musically,letting us play what we feel every night. Plus it’s great to get to play great country music and still get to play a few of the Staind songs, which were undeniably some of the biggest rock hits ever. What are the key differences between playing sessions and going on tour? 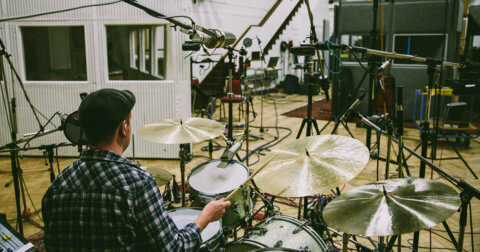 For me, the biggest difference is playing live I can play something and it’s there and then gone whereas in the studio I find myself being almost over critical of my own playing because once it’s on a record it’s there forever. Do you have any tips for other players starting to tour or play sessions? The biggest tips I would give is get out and meet people and just be a good person. No one in the studio or on the road wants to hang with a jerk. When on tour, what do you never leave home without, and why? Other than all of the obvious things, I like to have a good book on the road. A couple of the other guys in the band and myself like to read so we usually trade good reads on and off. 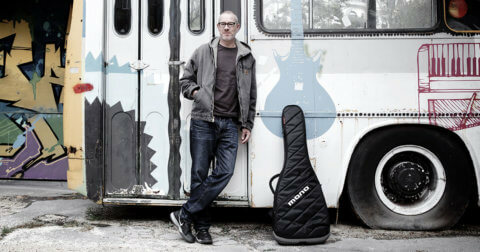 I use the standard electric guitar case at home and on the road. My MONO Pedalboard, Large in the Pro 2.0 bag stay out on the road. That board rides with all the hard cases in the trailer and holds its own perfectly. The bag I love because of the protection it gives and the comfort! I play Karge guitars which are light already, and you out that in a MONO bag it’s like a comfy backpack. The board I love because of the durability and easy access for wiring and hiding cables. It’s the best I’ve seen. Are there any young guitarists and bands out there today that pique your interest? 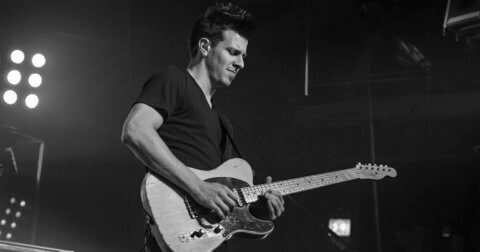 My friend William Bagby is a great young guitar player on tour with Joe Diffie. He has an appreciation for great country playing that I find inspiring and he executes it greatly. I really have no plans to change where I am at musically, especially on touring with Aaron. I couldn’t be happier. So come catch! 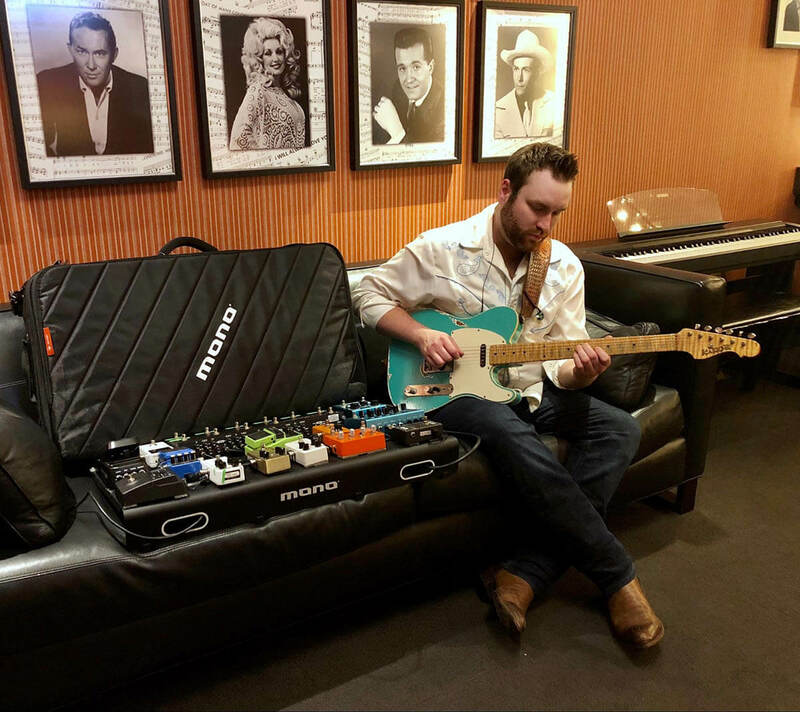 You can find more information about Chuck’s MONO Vertigo Electric Guitar Case here and for Pedalboard Cases of all sizes you can check them out here.